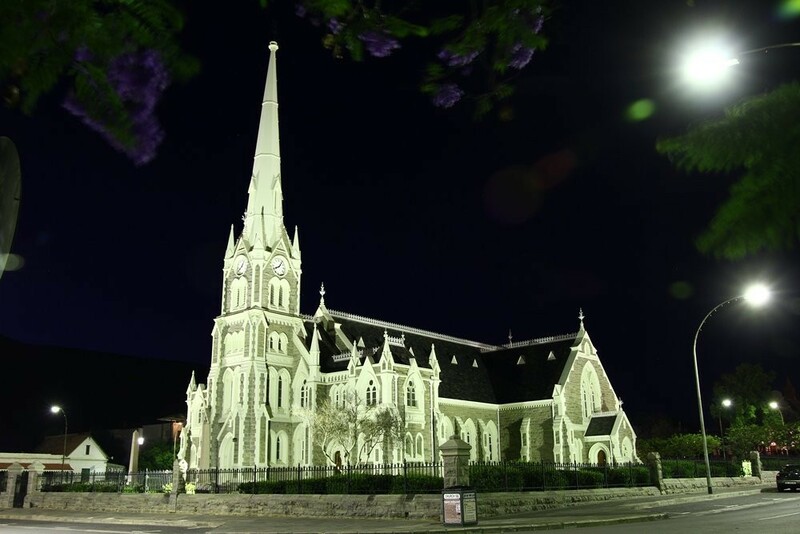 The first recorded church was in Church Street. Building of a church started in 1792 but was destroyed by fire in 1799 before it could be completed. 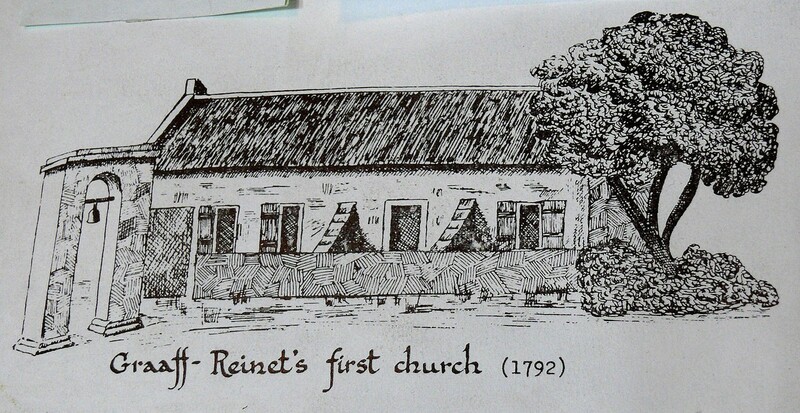 A second church was completed in September 1800 on the site of the present Dutch Reformed Church or Groot Kerk at the northern end of Church Street. With the arrival of the Rev Andrew Murray in 1822 building of a third church was started and the second church demolished. 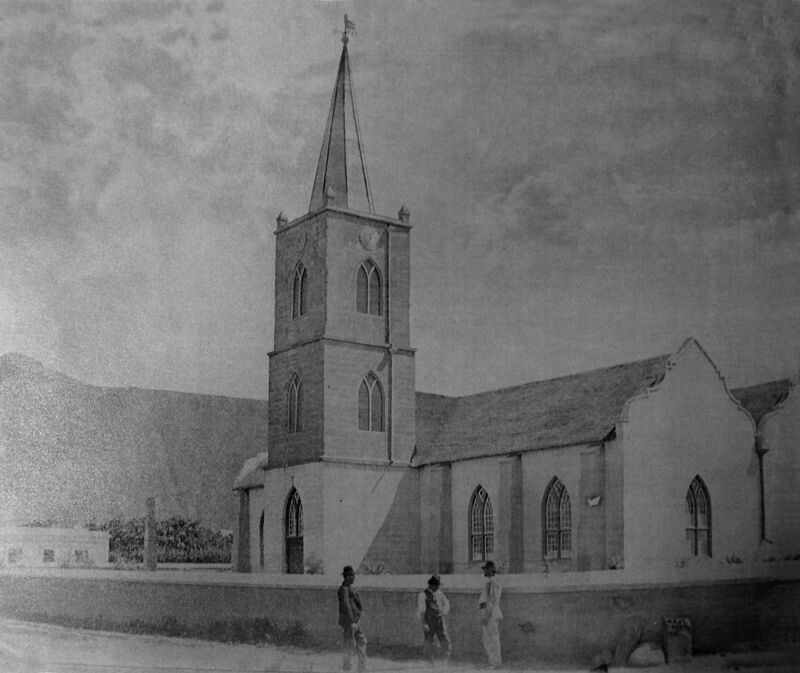 The third church with its thatched roof, gables, clock tower and encircling wall was completed in 1823 and served the community for 60 years. 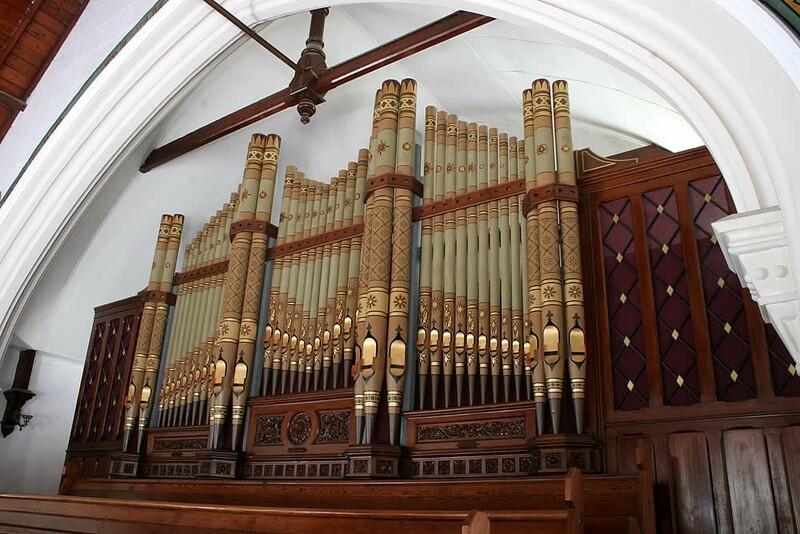 On the 12th April 1886 the foundation stone was laid for the fourth and existing church which is Gothic Revival and based on the lines of Salisbury Cathedral in England with the inaugural sermon delivered on the 11th September 1887. The stone for this church was obtained locally and the church which can seat 1,250 and has a steeple of 45, 72 metres boasts a chimney, an unusual feature for a church. 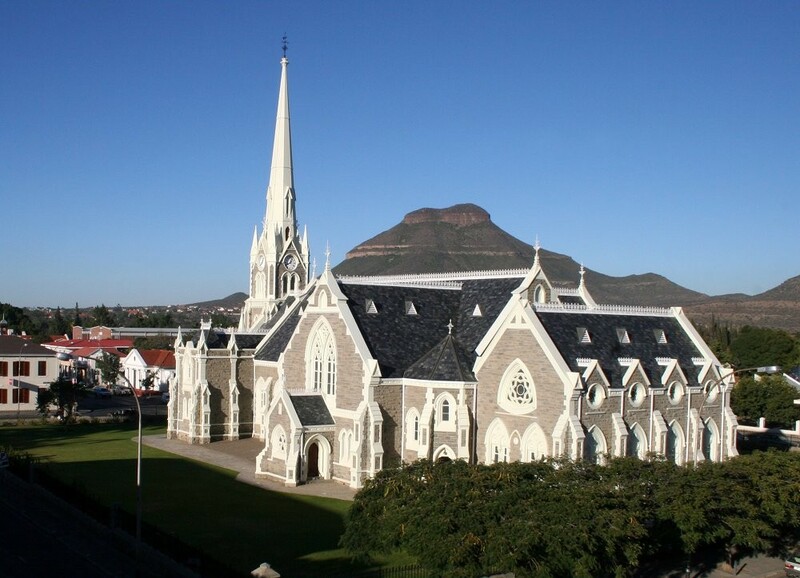 Due to discontent in the congregation a split occurred in the Groot Kerk. The main cause of the breakaway segment’s dissatisfaction seems to have been centered on the autocratic personality of the Rev Naude. 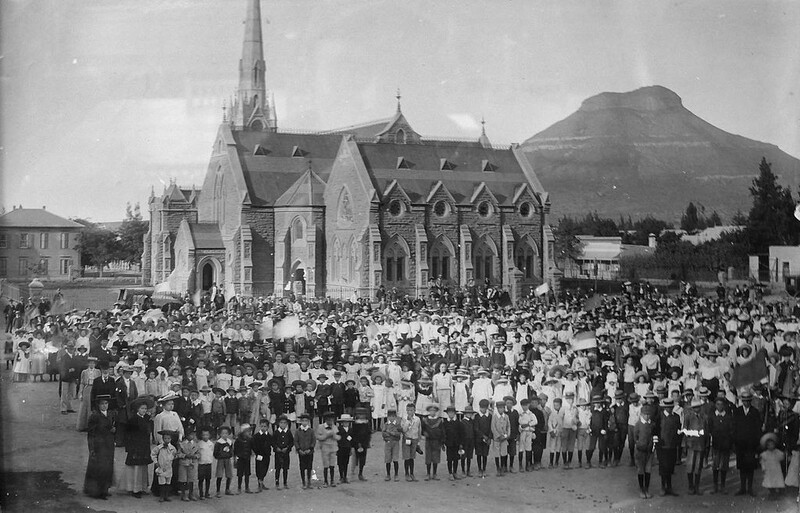 The breakaway group soon known as the “nuwe kerk” first held meetings in the town hall and on the 16th March 1929 the foundation stone of a new church on the corner of Caledon and Bourke Streets was laid and on the 7th December 1929 the new church was put into service. The church is cruciform shaped with saddle roofs. 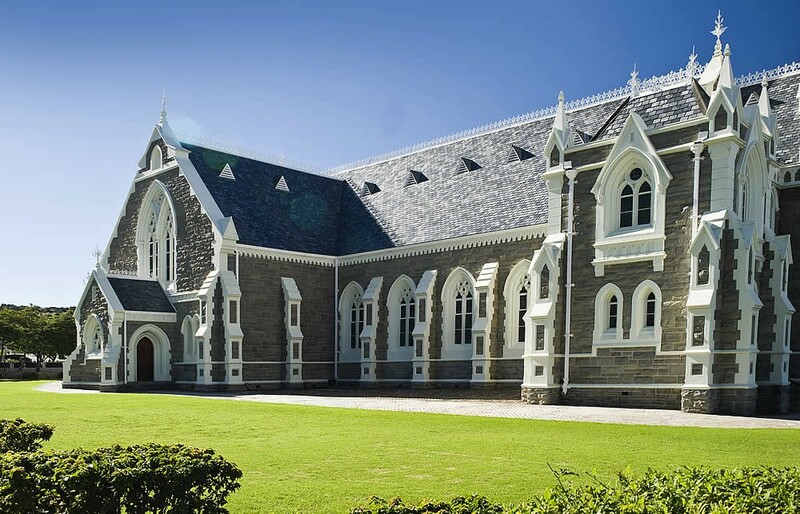 The gables are pedimented below which are large rosette windows with small arched windows on the ground floor and a small bell tower on the roof. After 9 decades the two churches once again became one. This was celebrated during a historical service held on the 21st of January 2018. The church building, which previously was home to the Nieuwe Kerk, is now home to the Assembly Church.